Feel free to publish this article on your website. We just ask that you do not edit the article and ensure that the author is correctly attributed! Just copy the code below into your CMS. In order to respond to the ever-growing challenges facing our cities and building resilience within them, Australian developers and architects are increasingly turning to innovative solutions. State and Local policies are now being drafted with a focus on introducing urban planning and design objectives which assist in addressing issues around climate change, increased density in our cities and an unstable energy supply. The ability to control a building’s micro-climate is becoming increasingly critical with strategies such as maximising ventilation, managing solar access and minimising overshadowing now reflected in the Building Code of Australia as well as both State and Local government policy. TILT Managing Director Tim Phillips shares with Urban.com.au four ways developers and architects can use design to respond to policy pressures, by mitigating overshadowing, working cleverly within height restrictions, and creating architectural features that set projects apart. TILT is a leading Industrial Design studio that investigates innovative design solutions, working closely with developers and architects to employ the latest technologies, innovative manufacturing and project maintenance in their projects. 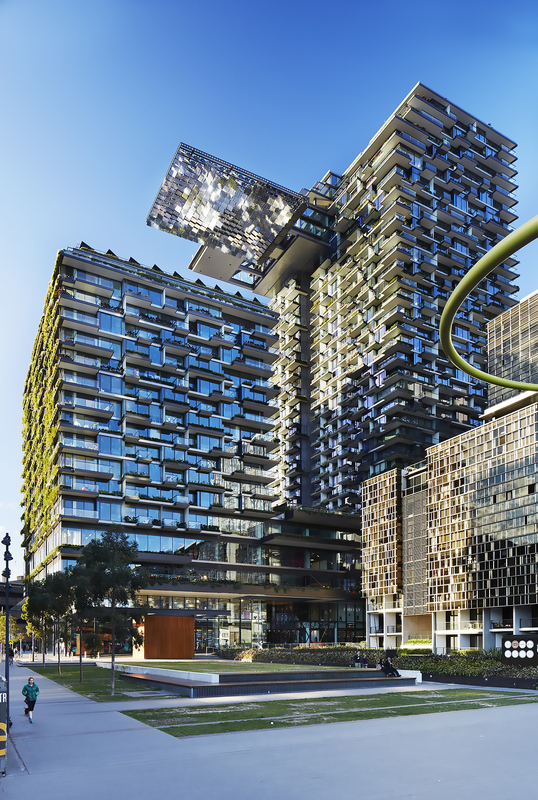 The design team is responsible for the revolutionary heliostat technology of One Central Park in Sydney, named the World’s Best Tall Building in 2014. TILT has also collaborated with top developers including Frasers Property, and architects BVN, Techne and more recently, Tonkin Zulaikha Greer on the Sydney Opera House. Overshadowing concerns are becoming an increasing issue for city councils and developers. Implementing a heliostat system can address these concerns. Using this technology to mitigate overshadowing can result in increased tower heights, increased yield and smoother approvals processes. Heliostats are also very effective in providing solar supplementation where access to sun throughout the day is considered valuable, such as retail precincts, beer gardens, cafes and public space. For example, if you’re limited to developing beyond 10-storeys due to council objections (based on a lack of solar access), heliostats may be the answer. Heliostat systems have the ability to alleviate overshadowing by providing extra sunlight to public spaces, increasing your building’s height and floor space potential. Additional light provided to public spaces is acknowledged as a positive by councils, particularly during the planning stage. The benefits of heliostats are site specific, but developers around Australia are exploring the potentials with significant Return on Investment (ROI) opportunities already evident. Building tall is only becoming more relevant, particularly in our progressively dense urban centres. Maximising building heights whilst increasing ventilation and solar access can be achieved by introducing skylights on a development. 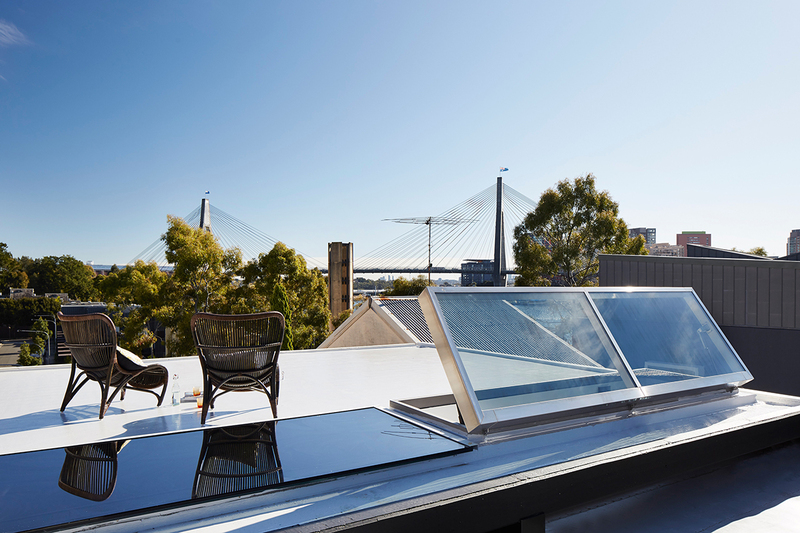 Our team has recently designed automated skylights and hatches that open up opportunities for roof terraces to become seamless extensions of the home, and for new (often spectacular) vistas to be unveiled and heights maximised. The skylights respond to Australia’s temperate climate and provide easy access to comfortable outdoor living throughout the year. They also create an opportunity for tiered developments that don’t impact on neighbours’ views. The skylights enable developers to differentiate their properties, add value to rooftop terraces, and secure their ROI, beyond the constraints of traditional construction methods. With industry trends steering towards a rise in sector blur, it’s important for developers to consider design features that provide versatility for event spaces. Operable elements can convert one space’s functionality and enable a venue to serve multiple functions. In the instance of retractable roofs, a venue can optimise capacity in all weather conditions. The roof can adjust to seasonal variations ensuring the venue experience is comfortable and enticing for users. With operable facades, a venue can manage environmental effects such as solar glare with infinite adjustability. The opportunity to manage glare without compromising on scenic views ensures a venue is maximising the investment in the location without compromising the comfort of patrons. Design differentiation can be considered commercially valuable particularly from an architectural perspective. The opportunity to include remarkable architectural features, beyond what is traditionally available, is valuable when developing a new commercial venue or residential property for sale.